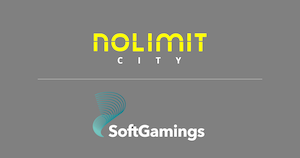 Nolimit City has become the latest provider to join SoftGamings’ supplier library, thanks to a partnership deal successfully inked between the two. This comes after the Swedish-Malta based software provider announced several other deals with Tier 1 operators throughout 2018. The deal will open the doors to multiple emerging markets, thanks the reach by the aggregator and platform. SoftGamings has been in online gambling for over 10 years, building on an independent turnkey platform that offers more than 3,000 games. The aggregator will have full access to Nolimit’s portfolio including titles like Wixx, Hot Nudge and Casino Win Spin.